Air freight forwarding expands each day. The industries in today's competitive conditions manage their activities with the approach of zero stocks and right on time production. 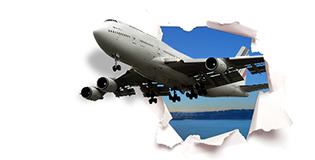 512 offers the safest services at the most suitable prices and flexible conditions in air freight forwarding. With scheduled consolidation and back to back services, we prepare all documentation for your shipment, follow up all the procedures on your behalf and ship it from door to door.